(CNS): Forethought, planning and organization are vital in creating healthier environments, according to the ministry of health which is encouraging all government departments, private sector companies, schools and community groups to develop or renew health and wellness policies to collectively facilitate better health for everyone. Marking Caribbean Nutrition Day Friday, Minister of Health, Mark Scotland added that “with changes in lifestyle such as healthy eating and physical activity, we can achieve greater success in improving the health of the nation.” This year’s theme “Healthy Eating and Active Living: Create an Enabling School/Work/Community Environment” is in line, ministry officials said with the Public Health Department’s Be Fit Cayman! wellness campaign which waslaunched last year. In support of Caribbean Nutrition Day the Health Services Authority and partners have planned for the following activities including promotion on local radio, selected food promotions at local supermarkets, healthy hot lunch options in the Pink Ladies Cafeteria at the Hospital and fresh fruits and salads only for lunch in government schools Friday. Research has shown that a health promoting environment plays an important role in the development and maintenance of a healthy lifestyle. A health promoting environment is characterized by easy access to health promoting facilities, activities, and options and where people can routinely model healthy behaviours. 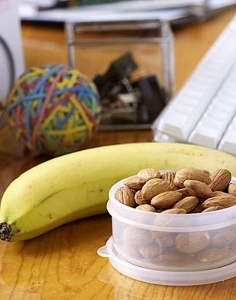 This includes workplace wellness policies that offer discounted gym memberships and stock refreshment areas with healthier food and drink options create a health promoting environment. Schools that implement and follow sound nutritional standards in canteens and fundraising events are another example of a health promoting environment as are communities which plan for pedestrian sidewalks and outdoor play areas for children. 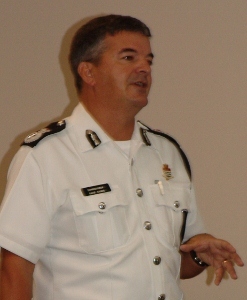 CNS): The police commissioner was confronted with a “barrage” of issues in the RCIPS when he arrived in the Cayman Islands, he said, but since then policy changes had addressed some of the problems. Speaking to the Police Association Thursday, David Baines said he hoped staff had started to see officers being developed and properly trained, salary discrepancies addressed and the issue of pensions tackled for all serving officers. He told the membership that it was healthy for the association to sometimes be in conflict with management because it was the voice of its members and it needed to be heard by senior management when it was making strategic decisions. Outlining how concerns raised by the membership had changed policy, the commissioner said the “barrage” of issues, such as staff members feeling they had missed out on training and equipment and watching external officers being ‘parachuted’ to the detriment of local staff, had been addressed. Baines said that development of officers had moved on so far that members who had once bemoaned a lack of training now believed that there might even be too much training. Lack of training had been a failure of the organization, he said, and it would ensure that officers continued to receive proper training to ensure they were fit for purpose, as the world was constantly changing. He went on to say that the number one issue raised to him by the Police Association had been unfairness in salaries. Some constables were being paid more than sergeants, the top cop said, and some sergeants were being paid more than inspectors but he had taken action to address this situation. Baines said there were now clear demarcations between ranks so no constable was earning more than a sergeant and no sergeant earning more than inspectors. In his address to the conference Baines said he was pleased that the issue of pensions was being tackled because it was a concern that had been on his agenda. He pointed to officers who had arrived in Cayman many years ago but had not been eligible for pensions then and who were now retiring. “You may not realise that some of your colleagues in the past who have spent 20 years – 27 years in one case – serving the people of the Cayman Islands who have then retired are left in some sort of limbo without medical insurance and/or pension because they had not sought residency or additional authority to remain on the island,” he explained. Baines went on to say that sometimes senior management was in conflict with members of the Police Association and that such conflict was actually healthy. At one end of the scale there were members and junior officers and at the other there were the public and government expectations, as well as funding. 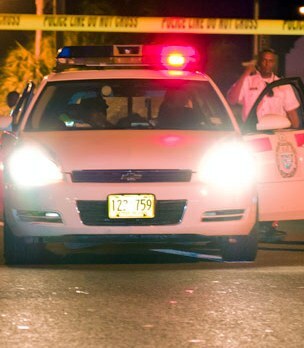 Police Association Chair Inspector Rudolph Gordon, who opened the day-long conference and seminar in Grand Cayman, pointed to the issues facing the membership. He said that stress was a common issue that officers had to deal with and the conference would help address this and other crucial issues. Gordon said that sometimes members of the public did not see officers as normal human beings. He said that by nature as police officers their job was generally stressful and this could have very serious impacts on their personal lives, on colleagues, on the people they served and the quality of service that they provided to the members of the public and even their family members. The training seminar produced by the Police Association,partnering with management would, he said, give officers additional tools in their arsenal so that they could be more effective in their service to the people of the Cayman Islands. The Police Association along with the Police Welfare Committee had an important role to play in the development of police officers, hence the development of the training seminar, which was held at Reliable Industry’s conference room. (CNS): A 32-year-old man has been jailed for three years after pleading guilty to causing the death of Dr Richard Martin last November as a result of drink and speed. Patrick Brooks-Dixon had almost twice the legal limit of alcohol in his system when he took a bend at over 105mph on the Esterley Tibbetts Highway and lost control of his Chevy Trail Blazer, smashing into the Honda that Dr Martin was driving. The doctor was killed instantly. His wife and Brooks-Dixon’s wife, a passenger in his car, were also seriously injured. Justice Richard Williams said Martin was killed as a result of an “atrocious and shameful piece of driving by a man under the influence of alcohol”, as he read his sentencing ruling on Thursday. The judge acknowledged a number of mitigating circumstances, but he placed the road death in the more severe category in terms of sentencing guidelines because of the combination of excessive speed and the fact that the offender was well over the legal limit for alcohol. The judge did, however, give Brooks-Dixon’s a full discount on what he considered to be an appropriate sentence of four years as a result of the plea. While noting that "on the evidence a guilty plea was the only sensible course for you to take,” Justice Williams reduced the term of imprisonment to three years. The judge also suspended Brooks-Dixon’s licence for seven years. Pointing to the aggravating factors in the case aside from the excessive speed Justice Williams emphasised that the defendant had consumed alcohol to such a level that it influenced his ability to drive safely. Listing the mitigating factors, the judge said Brooks-Dixon was not the sort of man who would normally appear before the courts, that he was previously a good driver, had numerous positive character references, that he had shown significant remorse from the moment of the accident and had since been in counselling. However, he also said he had considered the victim impact statement and the circumstances of the death. Justice Williams reflected that death by dangerous driving cases always trouble the court as the consequences are extremely serious but the offenders do not intend to cause death. But he pointed to the need for custodial sentences to also act as a deterrent. “I must consider the deterrent factor to ensure that those who consume alcohol and then drive dangerously on our roads, and unfortunately there are many, should think twice before they do so, realizing that if their case comes before this court that can expect a hard line,” he said. Dr Martin, who was 52 when he was killed, was from Pennsylvania, USA, but was resident on Grand Cayman as he was a professor at St Matthews Medical School. (CNS): The RCIPS is looking for what it described as extraordinary people to join the Special Constabulary. Although there are already more than 80 special constables serving in in the RCIPS, the organisation is looking for new volunteers for its important support service. ‘Specials’, as they are known, are expected to dedicate a minimum of 15 hours every month to the RCIPS. They work alongside regular officers on foot and mobile patrol duties. Posts are open to people from all walks of life. Applicants must be aged between 18 and 50 years, be physically fit and have no criminal convictions. Anyone who is interested in learning more about what the volunteering role entails should head along to a recruitment event at Camana Bay on Saturday, 9 June, between 10:30am and 2:30pm. The event will be held by the Observation Tower. Many of the men and women who already serve as part of the Special Constabulary will be there to answer questions and discuss the opportunities available, as well as the challenges you could face, as part of the RCIPS Special Constabulary. “Being a special constable is extremely rewarding, but anyone who is considering joining us needs to know that the selection process is robust and will be extremely challenging – both academically and physically,” said Commandant Chris Duggan. “We use the same selection criteria for specials as we do for regular officers. That’s how important the role is. Application forms will be available at the event in Camana Bay on 9 June. They can also be found on the RCIPS website, at district police stations or by clicking here. The closing date for applications is 16 June. Applicants who meet the selection criteria will be expected to pass a physical test, a written test and take part in an interview before their appointment. The next training class for special constables will begin as quickly as possible following the completion of the recruitment process. Anyone who can’t make it along to the event on Saturday should contact the Commandant of the RCIPS Special Constabulary, Chris Duggan, for further information on info@specialconstabulary.ky. (CNS): Police say a woman is being treated in hospital for a serious arm injury following a single vehicle road crash in the vicinity of Moon Bay Condos early this morning, Thursday 31 May. At about 3:50am a Ford Explorer, which was being driven towards Bodden Town, crashed off the road into bushes close to Moon Bay Condos. 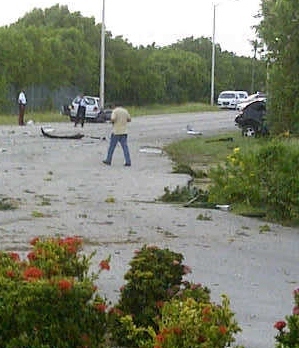 Emergency services attended the scene and both the male driver and female passenger were conveyed to the Cayman Islands Hospital, George Town, for treatment. The driver, who was arrested on suspicion of DUI, was released from hospital following treatment to minor injuries. Police say enquiries into the cause of the crash are ongoing. (CNS): The elections office has confirmed it will be taking its mobile booths out to the districts ahead of the 18 July referendum on one man, one vote. The supervisor of elections has confirmed that those who qualify under the law to vote ahead of polling day because of work or incapacity will have access to mobile voting. The teams will be in East End, North Side and Cayman Brac on 9 July, Bodden Town on the 10 July, in George Town on 11July and in West Bay on the 12 July. The mobile unit will start in Little Cayman on 6 July. Some voters will be required to attend a mobile station but house bound voters will be allowed to vote at home. 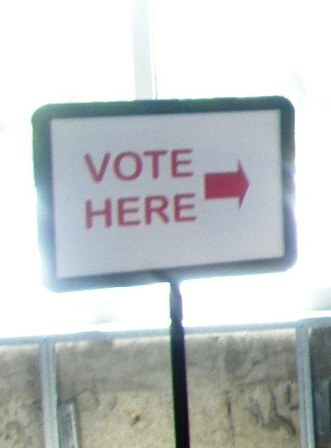 According to the law where an elector is unable or likely to be unable- to go in person to the polling station because he is or is likely to be in a hospital, rest home or other similar institution, or because he is a geriatric at home or by reason… of physical incapacity to go in person to the polling station he can vote at a mobile station. Also a voter, who can’t go because of the general nature of his occupation, service or employment and is not entitled to vote as an absent elector, can also attend a mobile station if the application is allowed by the registering officer. Registered voters are advised to contact the elections office as soon as possible to ensure that their vote will count. With government having stacked the deck against its own question and requiring 50% of the electorate plus one in order to carry the move to one man one vote rather than a simple majority of voters, campaigners for the move are imploring everyone who supports the change to vote however they can. Close to 8000 ‘Yes’ votes will be required in order to introduce a more equitable and democratic voting system and anyone who stays away from the polls will be voting ‘No’ to one man, one vote. (CNS): It is not just employers that have been non-compliant when it comes to compulsory pensions for workers, government officials have said; employees have also colluded with employers over unlawful opt outs. The chair of the pensions board and the superintendent of pension both said that the culture of compliance around the new bill is also aimed at employees. One major employer on the island is currently under investigation for allowing senior employees to opt out of a pension and use the equivalent contributions to invest as they see fit, while other bosses are colluding with workers in order to not give the five percent mandatory employer contribution at all. 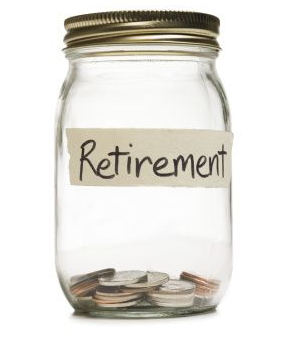 Although many of the600 delinquent pension cases involve employers taking pension contributions from their workers' salaries then not paying that or the 5% employer share into a fund, other cases involve the support of staff in dodging the legal obligation to pay into a pension fund. Officials said Monday at a press briefing to announce the publication of a new draft pensions bill that some employers are getting staff to waive the requirement for the employer to pay 5% by refraining from collecting the worker’s share, ensuring the employee’s silence. Other employers and employees are involved in more complex collusions, where the company is giving the 5% or even 10% contributions directly to employees and allowing the professionals to make investment decisions for themselves and opt out of the legal requirement, in contravention of the law. Orren Merren, the chair of the National Pensions Board, acknowledged that a leading employer on the island is currently under investigation by the pensions office regarding this type of collusion, and that there was an appeal before the board relating to this issue. However, he would not identify the employer since he said the matter was sub judice. It was revealed at the press briefing that, going forward, the new Department of Labour and Pensions would be able to publicly name and shame those receiving fixed penalties for any breach of the law. Employers not responding to orders to pay once this law is passed won’t have their trade and business licence renewed, which in the case of the employer involved in this appeal could prove significant for the entire country. It is not clear how many employers have allowed professionals to make their own pension arrangements, but in the case referred to by Merren, according to documentation seen by CNS, the high profile employer was ordered to pay the missing contributions, which went back many years, into a legitimate pension scheme. Although this employer is believed to have paid the equivalent of the pension benefits to at least one employee, the cash was never paid into a locally registered fund. The investigation has lasted some two years but in June last year the pensions office concluded that the employer in question did not have a valid pension account for at least one employee. An order was issued but it is understood that no payments have yet been made in the specific case of one senior staff member as the employer has appealed the pensions office order and a special panel is expected to hear that appeal in the coming weeks. With a number of professionals coming to Cayman that already have extensive investment portfolios in other jurisdictions, not all of them want to see the pension benefits, seen as a perk of the job in many cases, go to local pension funds. But Superintendent of Pensions Amy Wolliston said the new bill does not allow for any opt out under any individual circumstances. Wolliston explained that the law does, however, make better provision for international pension plans to be registered in Cayman. In instances where global firms set up offices in Cayman, those companies would be allowed, under the law, to register their own pension fund, she said, provided it met local criteria allowing employees to continue paying into their company pension scheme. She noted that this was a separate situation from individual employees that simply wished to make their own investment arrangements. “There is no opt out provision for individual employees to make contributions to pension funds or any other form of investment outside of those legally registered in Cayman,” she stated. She also spoke of greater protection for workers that blow the whistle on employers who are asking employees to collude or who do not pay into funds. She said employers will not be able to dismiss staff members that report their bosses to the new department. Officials have acknowledged however, that in many cases employersare only able to flout the law because of the willing support of employees. Merren added that an important element of the education campaign to create a greater culture of compliance will be to reach out to employees to encourage them not to collude with rogue employers. (CNS): Police have now confirmed that two armed robberies took place in two different districts Wednesday within a few hours of each other. The first took place at a convenience store in Walkers Road, George Town, at around 11:35 in the morning while the second happened in Bodden Town at a pawn shop some two hours later. One man has been arrested, however, and an imitation gun and mask have been recovered following the hold up at the Cashwiz robbery after an unarmed officer confronted and apprehended the suspect. No one was hurt in either of the robberies, which come less than a week after the television centre was held up by three masked men with guns. Police said the first robbery of the day was at Shop Right in Walkers Road when a man, who had his head covered with a large yellow cloth, entered the shop and threatened staff with a knife as he demanded cash. He then left the store with a sum of money and a small quantity of cigarettes. 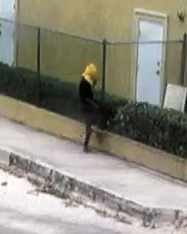 The suspect can be seen above and below in CCTV stills. Pictures supplied by the RCIPS show him approaching the shop from Windsor Park Road. Heis described as being about 5’ 10” in height, wearing blue three quarter length baggy shorts, a baggy blue short sleeved polo shirt and white training shoes with diagonal stripes. He had his head covered with a yellow cloth, which is said to resemble the type of cloths used by people such as gardeners who work outdoors. The second robbery occurred at Cashwiz on Bodden Town Road at 1:30pm and the police were alerted as the robbery was in progress. As officers arrived on the scene the suspect was running from the direction of the store and he threatened the unarmed officers with a gun. The officers challenged the man and he dropped the weapon. Police immediately arrested him and moved the firearm. Both the gun and the mask suspected of being used by the perpetrator in the robbery were recovered by law enforcement officials. The gun has been forensically tested and was confirmed to be an imitation weapon. The man was arrested on suspicion of robbery and remains in police custody while enquiries continue. Acting Superintendent Robert Scotland said described the actions of the officers who confronted the robbery suspect as nothing short of heroic. “They were threatened by an armed suspect and without thinking of their own safety and wellbeing they moved in quickly to ensure that he was arrested and could not harm any members of the public,” the senior officer said. “Fortunately the gun has been confirmed as an imitation – but the officers did not know that at the time. Their actions are testament to the dedication of our staff to do all that they can to keep these islands safe from those who would threaten that safety through the criminal use of firearms,” Scotland added. Anyone who has any information about the Walkers Road crime or the suspect should contact George Town police station on 949-4222, the RCIPS tip-line on 949-7777, or Crime Stoppers 800-8477 (TIPS). 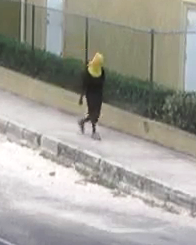 Those who have information about the Cashwiz robbery are asked to contact Bodden Town police station on 947-2220, the RCIPS tip-line 949-7777 or Crime Stoppers 800-8477(TIPS). (CNS): A man who stole a charity box containing cash from a fast food restaurant was caught on camera last week. Officers investigating the theft of the box from Burger King on Walkers Road last week have released CCTV images of the suspect. Police said the theft occurred around 7:30am on Saturday, 26 May, when a group of around five men distracted staff at the fast-food restaurant. One of the men then grabbed the charity box and cycled off from the location. The box, minus the cash, was recovered a short distance from the store on Sunday. 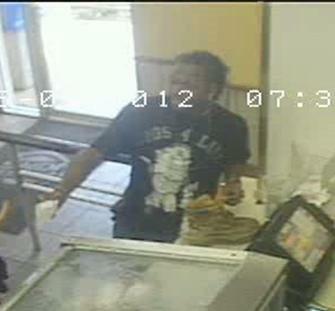 The suspect is described as male with a dark complexion and braided hair. He was wearing a black t-shirt and light coloured three quarter length jeans. 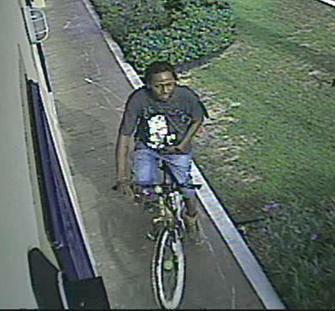 Anyone who can identify the man in the attached stills should contact George Town police station on 949-4222.